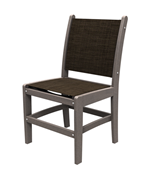 Our collection of Dining Chairs are the ultimate in comfortable and carefree seating in a conversation group or as part of your dining ensemble. 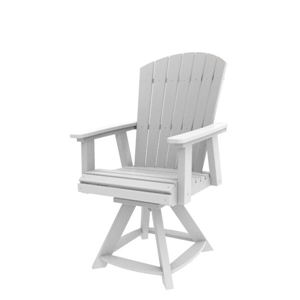 Our well designed and constructed Maywood Sling Chair has graceful, clean lines and a comfortable seat. These chairs will will compliment any outdoor setting. Sold in sets of Two. 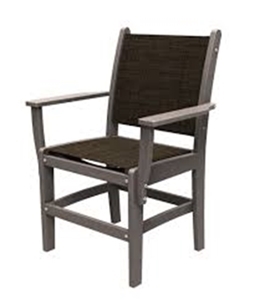 Our well designed and constructed Maywood Sling Armchair has graceful, clean lines and a comfortable seat. These chairs will will compliment any outdoor setting. Sold in sets of Two. 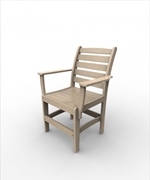 Our Maywood Side or Dining Chair with a slatted back and solid seat goes beautifully with all of our Malibue Outdoor Seating designs. Sold in sets of Two. Our Maywood Armchair with an open slatted back and tight slatted seat is perfect for a conversation area or, with one of our tables, for dining ensemble. Sold in sets of Two. 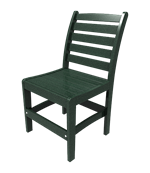 Our Hyannis Dining Chair with its beautiful fan back is perfect for your dining ensemble or as a quiet place to share a conversation or drink on your patio, porch, pool deck or in a garden nook. Our Hyannis Swivel Dining Chair with its beautiful fan back is perfect for your dining ensemble or as a quiet place to share a conversation or drink on your patio, porch, pool deck or in a garden nook. 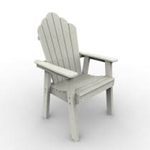 Our Yarmouth Dining Chair with its beautiful rounded picket back is perfect for your dining ensemble or as part of a quiet place to share a conversation or drink on your patio, porch, pool deck or in a garden nook. 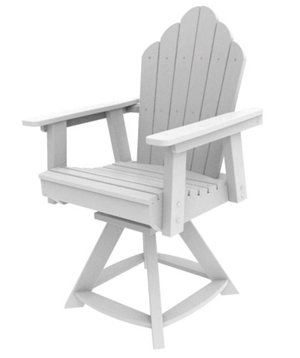 Our Yarmouth Dining/Rocker Chair with its beautiful rounded picket back is perfect for your dining ensemble or as part of a quiet place to share a conversation or drink on your patio, porch, pool deck or in a garden nook.